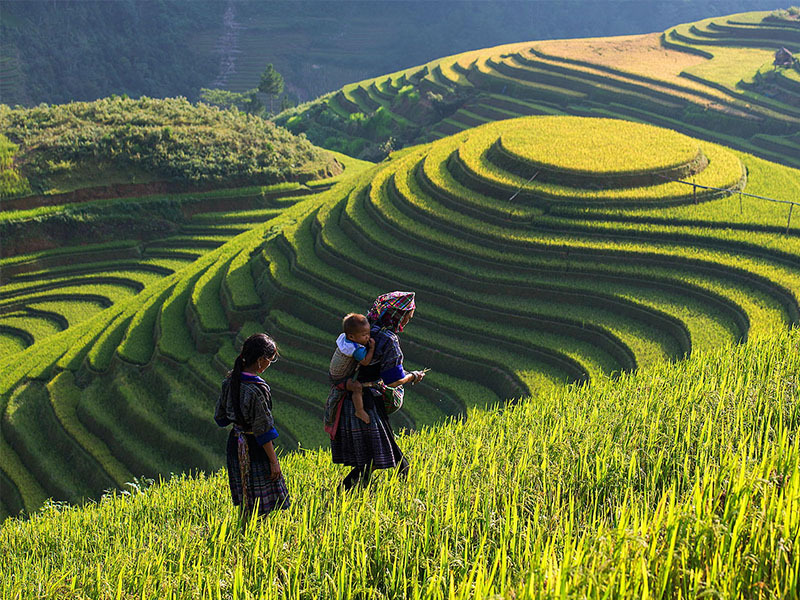 Discover North Vietnam’s cultural diversity and breathtaking scenery. 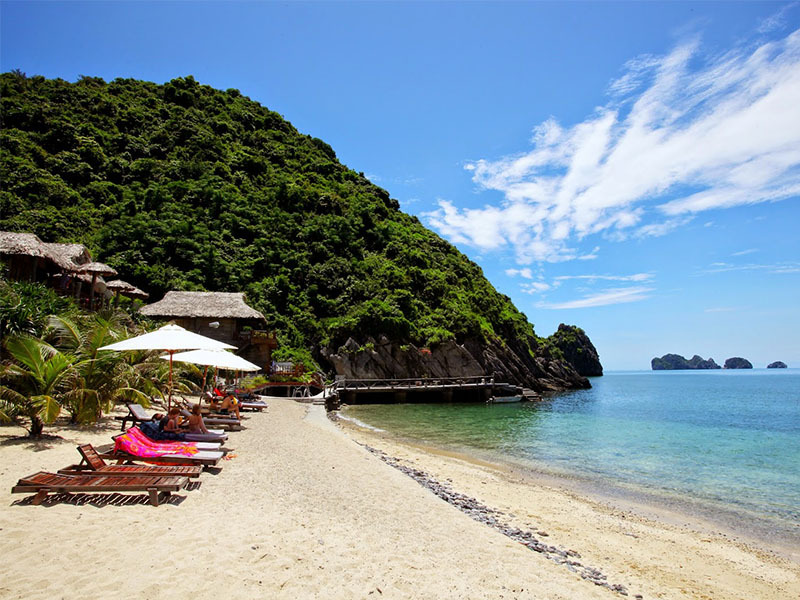 From Hanoi’s colonial charm through Ninh Binh karst formation to Sapa’s the mist-entwined mountains and finally the turquoise with island dotted in Ha Long bay and Cat Ba island. 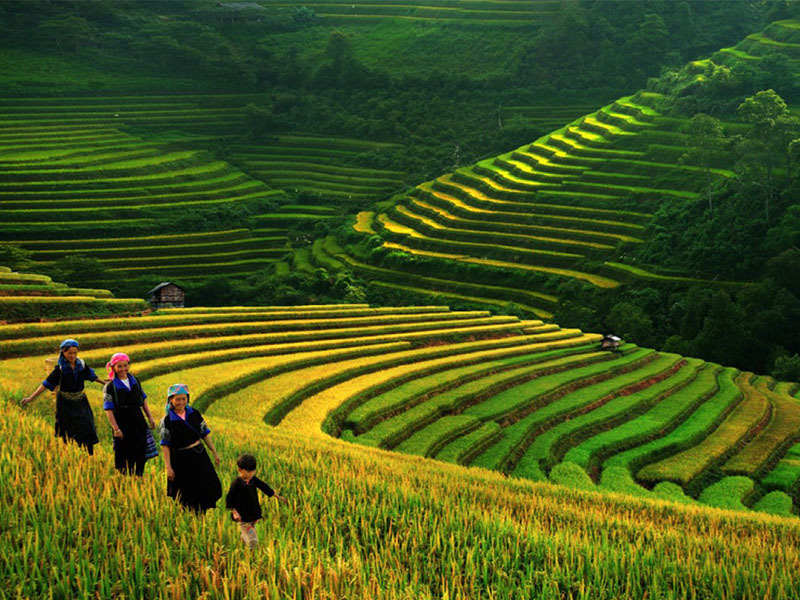 Doing this tour, you will experience the depth of Vietnamese culture and history, the daily life activities of the people in rice fields, the unique way of living of many ethnic minorities as well as all of North Vietnam’s key sites. -	Take a cyclo tour in the charming old quater Hanoi and see the typical Vietnam style. -	Taste special dish Cha Ca La Vong, a famous local specialty of Hanoian. -	Visit the the ancient citadel Hoa Lu and cruise through the landscape complex grottoes. -	See the older remains of the original temples Bai Dinh. 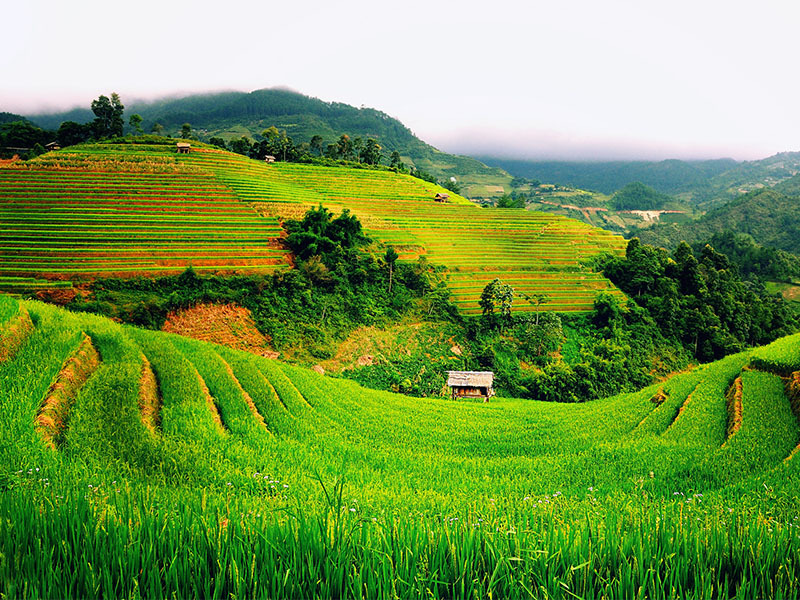 -	Relax in clean fresh air of green valleys in Sapa. 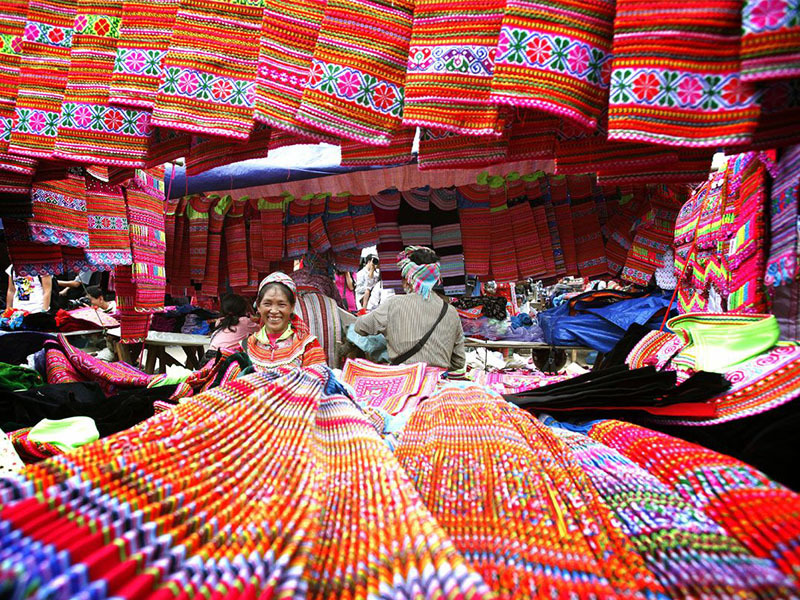 -	Explore rich culture of minority villages and weekly markets. -	Interact with Black H'mong, Giay and Red Dzao minorities in the small mountain villages of this region - a true Peregrine experience. 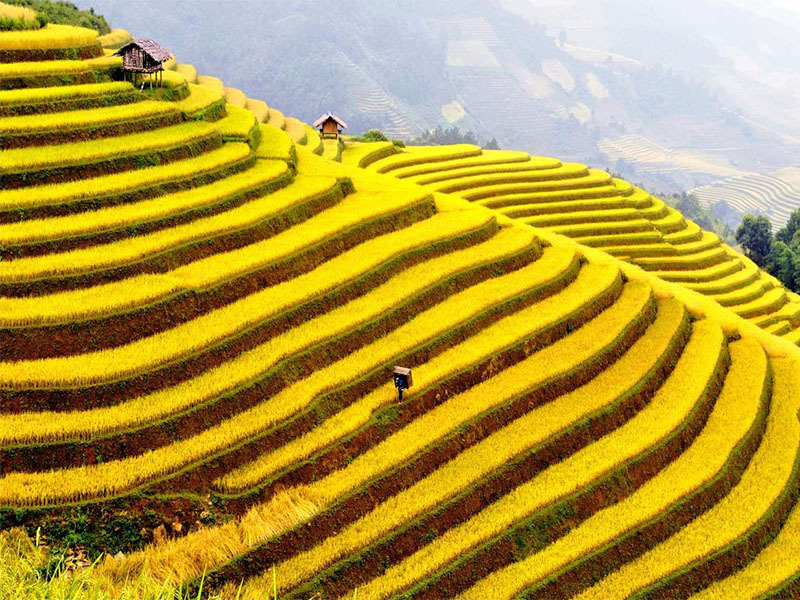 -	Trek or walk through valleys, leisure walk villages to villages through rice paddy. 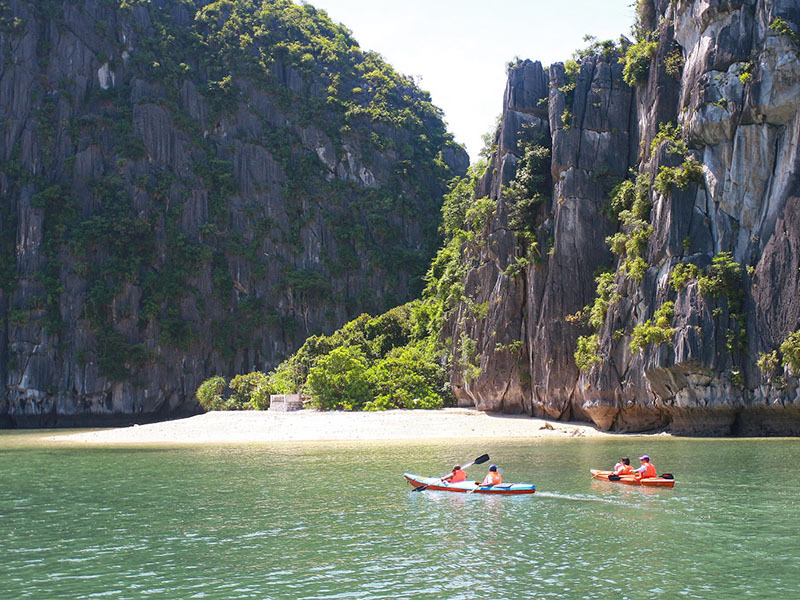 -	Speedboat to the largest untouched island of Ha Long bay and trek in the Cat Ba national park to discover the rainforest. 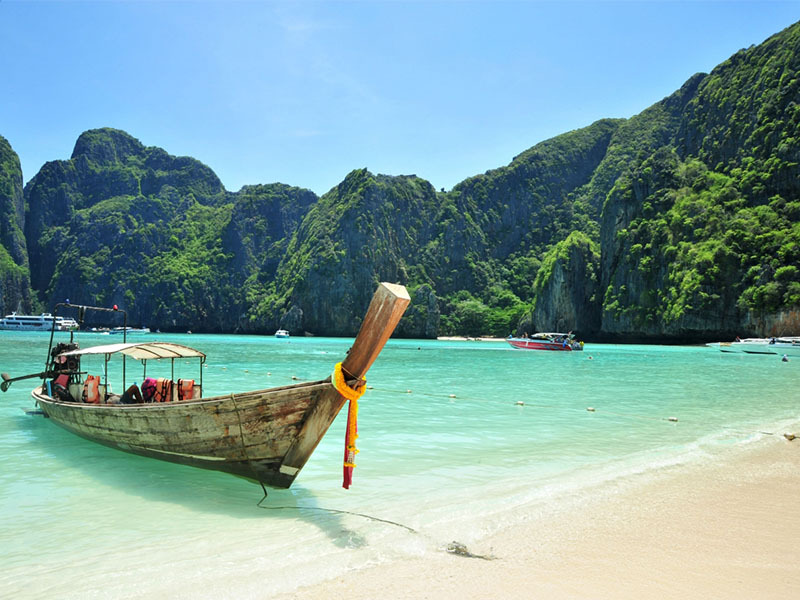 -	Cruise on the UNESCO Natural heritage Ha Long bay and explore the beautiful karsts and islets. Arrive at Noi Bai airport, you will be welcomed by our friendly tour guide and driver. Then, transfer to your hotel for check in (after 14:00pm). Hanoi - a more than thousand years old city, where the exotic chic of old Asia blends with the dynamic face of new Asia. In the late afternoon, visit Hoan Kiem lake (Restored Sword lake) and Ngoc Son temple. 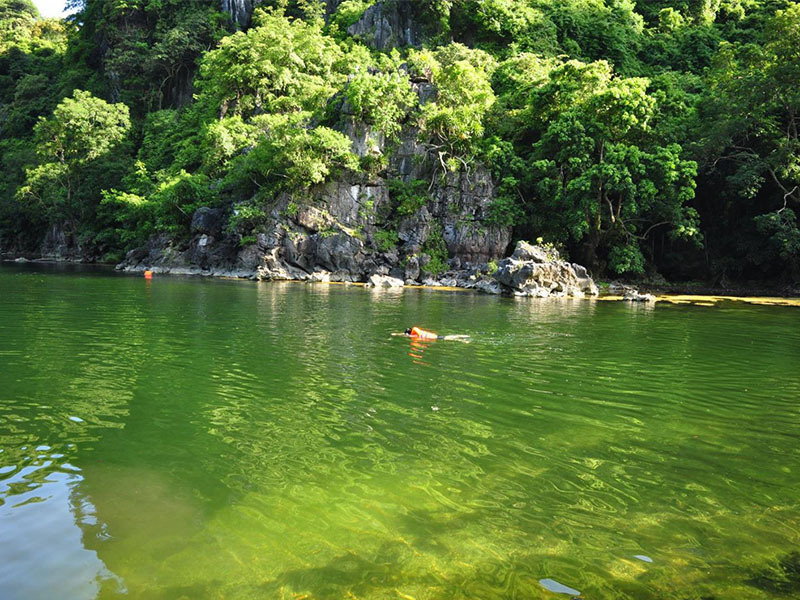 Situated in the heart of Hanoi, the lake got its name according to a legend story. Then, you will take the 45 minutes-cyclo tour around the Old quarter through its streets which are named after the guilds that used to represent such as Hang Bac (Silver Street), Hang Gai (Silk Street), Hang Tre (Bamboo Street) etc & walking through it for shopping at some places. Enjoy a special dinner with Chả Cá Lã Vọng - a famous local specialty of Hanoi. Overnight in Hanoi. Today morning, we will proceed to Ninh Binh province by heading south for the two hour drive along Highway One. We spends 2 hours driving and enjoy the daily life of Vietnamese people in the countryside on the way. Upon Ninh Binh arrival, we will visit two remaining temples of the ancient citadel of Hoa Lu. The first is dedicated to Dinh dynasty and the second commemorates the rulers of the Le dynasty. After visiting the two remaining sanctuaries of the ancient citadel, take a sampan on a river through the rice paddies to the grottoes of the sacred Tam Coc caves. 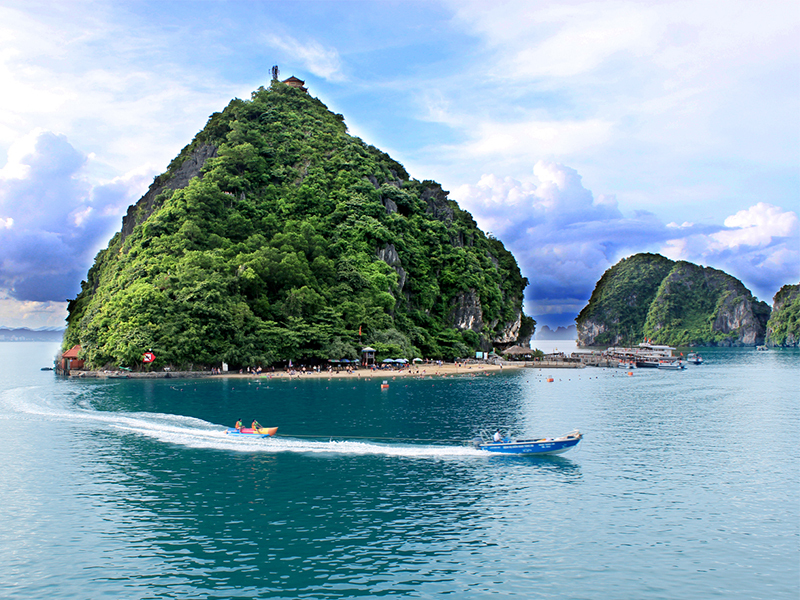 Enormous limestone karsts jut out from the green rice fields giving rise to this place's other name, 'Halong on Land'. After a three hour boat trip along the Boi River, we do beautiful bicycle trip to Bich Dong pagoda for visit to a very nice pagoda. In the afternoon, drive back to Hanoi and transfer to your hotel. Overnight in Hanoi. 07:30: Pick up and depart to Sapa with two breaks on the way. 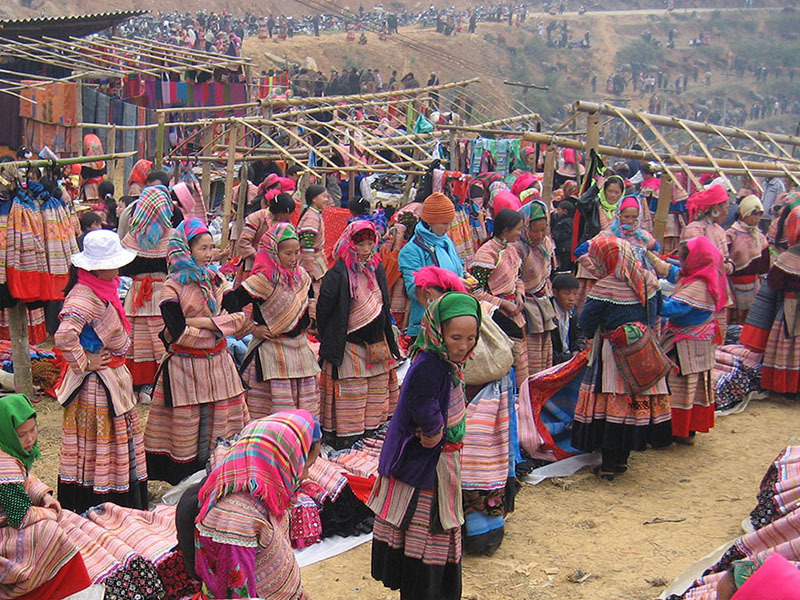 13:00: Arrive in Sapa town, you will see colorful traditional costumes of H’mong, Dzao & Tay ethnic people. Check-in procedures and have lunch at a local restaurant. 14:30: A short drive to the gate of Cat Cat village which is home of Black H’mong ethnic people and is located near the bottom of a deep valley at the foot of Fansipan peak. Our guide will show you the daily life activities of the locals, trek down to the valley bottom to the waterfall where the French built a Hydraulic power station; stop for photo with bridge and waterfall then you will walk uphill. Come back to Sapa town. Overnight in Sapa. 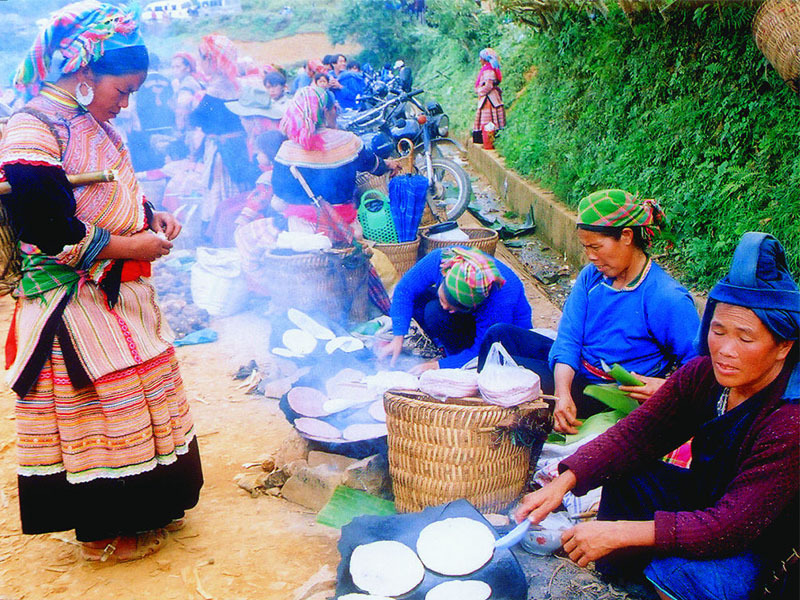 Today morning, you will be transferred to Bac Ha town, located at 110km from Sapa, Bac Ha mountain town is well-known by travelers with the most colorful market of the hill tribes in the North of Vietnam. 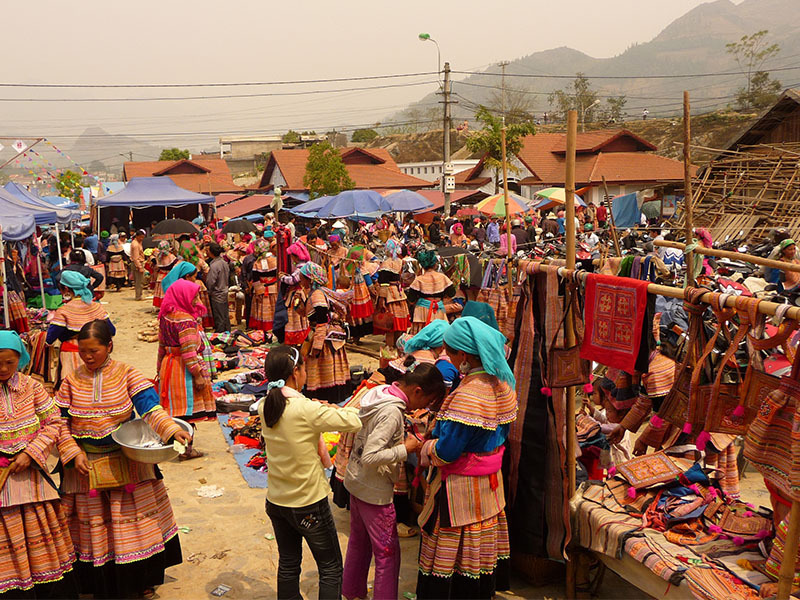 This every-Sunday-market Bac Ha attended by at least 8 ethnic groups and last from 9:00 AM until 2:00 PM. It is also chance for tourists to discover the H’mong King’s palace (old building built by the French & Chinese). After lunch time, you drive downhill for about half an hour. You will start a short walk to Trung Do village, which belongs to the Tay minority. Here you can stop by a traditional Tay house for a cup of tea before you get on a boat. You will have a cruise upstream the Chay river to experience the picturesque scenes and the magnificent sight of a beautiful cave. The boat ride ends at Coc Ly. Then, enjoy landscapes on a roundabout way to Bac Ha for get back to Sapa. Overnight in Sa Pa.
-	Can Cau market will be replaced if this day is on Saturday. -	Coc Ly market will be replaced if this day is on Tuesday. -	Lung Khau Nhin market will be replaced if this day is on thurday. 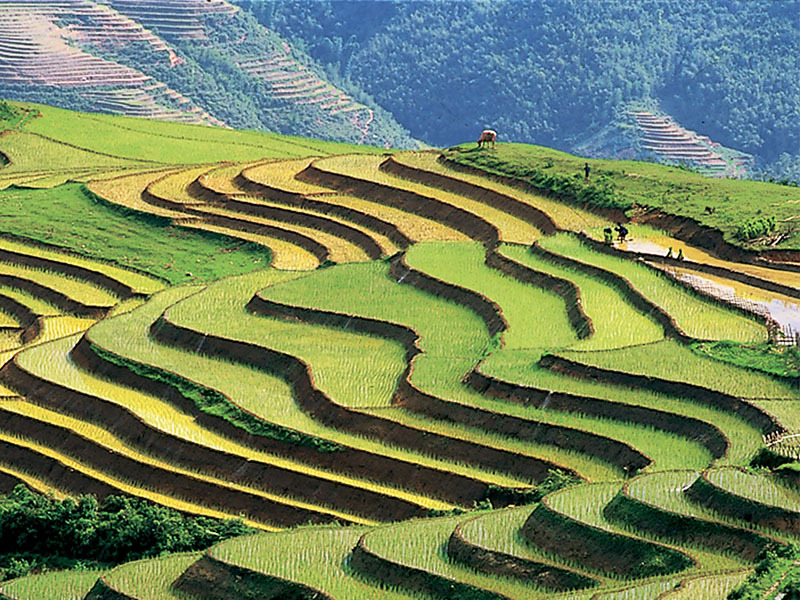 Today, begin your exploration trip to Muong Hoa valley. You will follow the main road heading south for about an hour before turning right to a foot path down hill to Muong Hoa valley. This part offers spectacular scenery of the highest part of Hoang Lien Son mountain range and in a nice day, Fansipan peak can be seen. Crossing the river by a suspension bridge you will challenge your feet uphill to Y Linh Ho village. Here you will pay visiting to some H'mong families, watching them doing their daily works. After picnic Lunch, the trail continues up and down hill for about 2 hours as you reach to Lao Chai, a large village of the H'mong and then following the river bank to Ta Van of the Zay people. 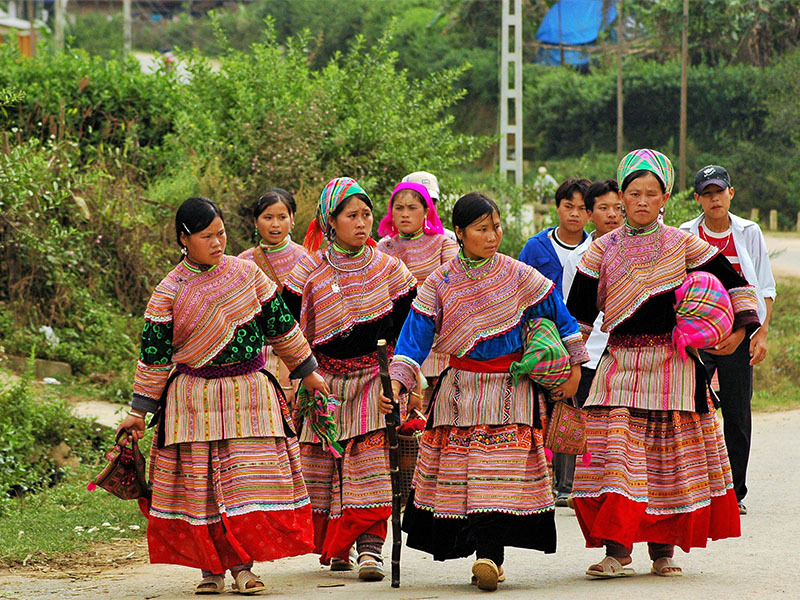 Paying visiting to local homes, village schools... you will enjoy much your cultural discovery of local ethnic peoples as well as breathtaking scenery of the Muong Hoa valley. Settle down in Ta Van village for an overnight home stay and get full experience of local village. Overnight at homestay in Ta Van village. Note: Homestay with simple factilities will be provided: hot water, mosquito net, blanket, shared toilet etc. 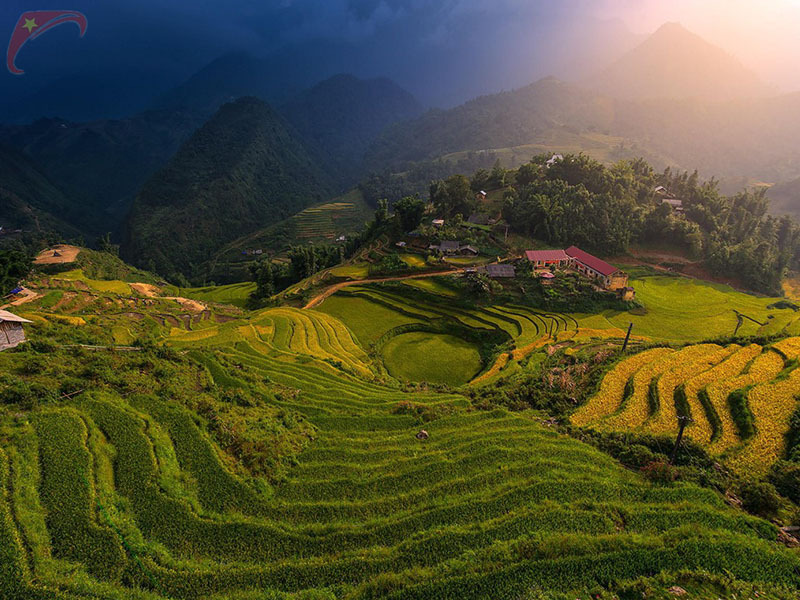 After breakfast at your homestay, you will take the trail uphill, passing fascinating terraced rice field and some small hamlets of the H'mong before getting through a bamboo forest to a waterfall and enjoy a break for magnificent scenery and then continue walking for half an hour to Giang Ta Chai village of the Red Zao peoples. After spending time by visiting the village, you will cross the river by another suspension bridge and then uphill to a local handicraft center where H'mong and Zao women gather for exchanging experience and skill of making handicrafts. 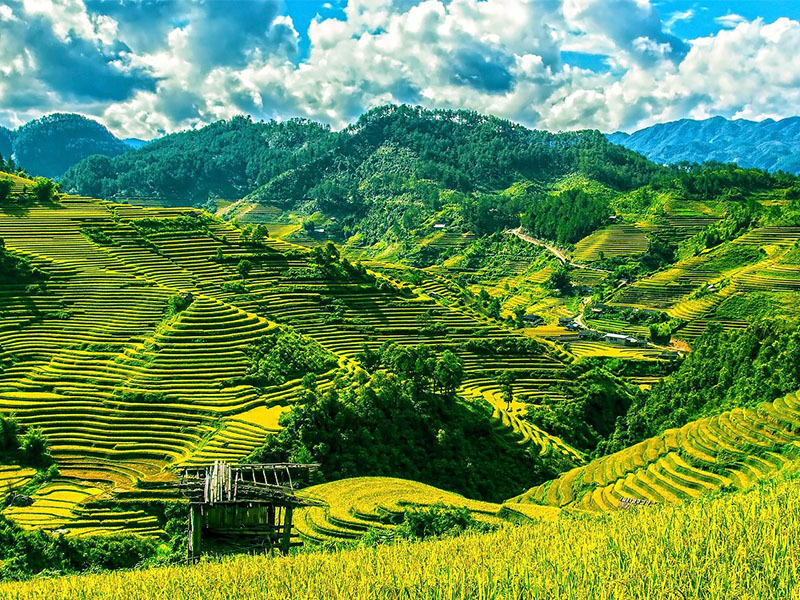 Later, take a short back to Sapa and have lunch at local restaurant, take a shower and enjoy about two hours free time in Sapa before transfer down hill to Lao Cai station to take the overnight train back to Hanoi, which arrives early next morning. Night train to Hanoi by Livitrans (04 pax in cabin). Arrive early morning in Ha Noi station, Ha Noi tour guide will come to pick you up and transfer directly to Hai Phong. Upon arrival, you will have breakfast at a 3* hotel in Hai Phong. 09:30 Transfer to Cat Ba island by using high speed boat. 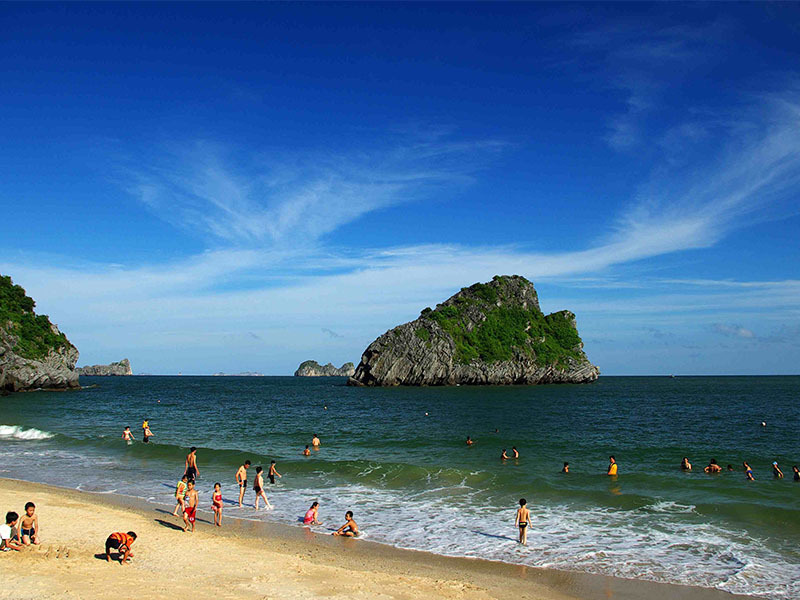 Cat Ba is the largest untouched island in Halong Bay. 10:15 Upon arrival, pick up and transfer to entrance gate of Cat Ba national park, then ready for 10km trek crossing jungle on single trail and dirt path. The highlight of this trek is the view from top hill and diversity of different kinds of insect on the way. The trekking ends in Viet Hai village (3hours) - A local isolated village from the rest of the island known as home of local fisher men. 13:00 Lunch will be served at local family. After lunch, you’ll walk to the dock and transfer by boat back to Cat Ba town. Tonight, enjoy dinner at the hotel. Overnight in Cat Ba island. 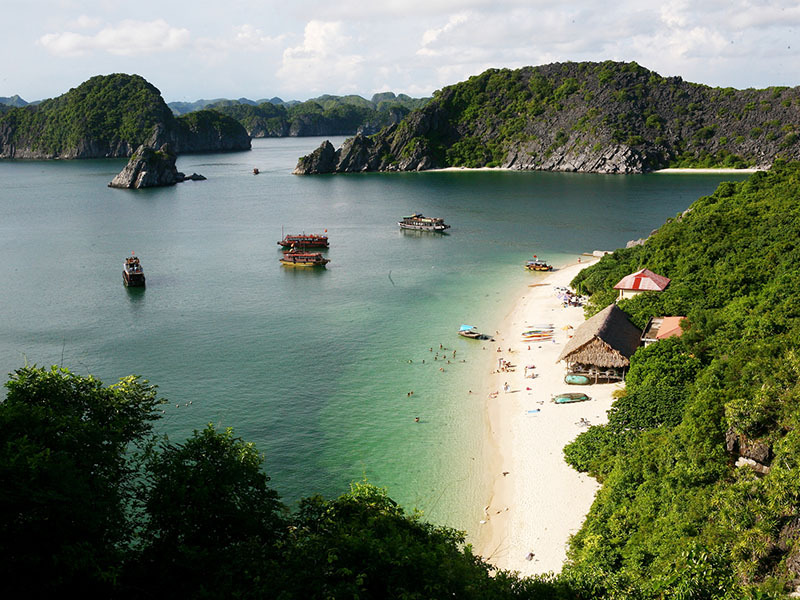 Transferring to Gia Luan pier, get on boat to visit Ha Long bay in 4 hours among the 3,000 spectacular limestone islands - one of Vietnam’s greatest natural wonders and was recognized as World’s Natural Heritage by UNESCO. The cruise ends with a fresh seafood lunch on board. After lunch, transfer back to Hanoi and arrive around 16:00pm. Take your time for walking through Hanoi old quarter, you will have free time for shopping. Overnight in Hanoi. Free at your leisure until transferring to Noi Bai airport for your safe flight to home. End of services.